Ready for the long Easter weekend? In just a few weeks, we will be serving up our annual Seafood Road Trip on Good Friday. Bookings are essential. Make your reservation online or call Copper Pot at 03 8590 3505. In 2019, the annual Luxsmith Seddon / Copper Pot progressive dinner is going one step further with our friends at Lay Low Bar Seddon added as the final stop on your tastebuds adventure. 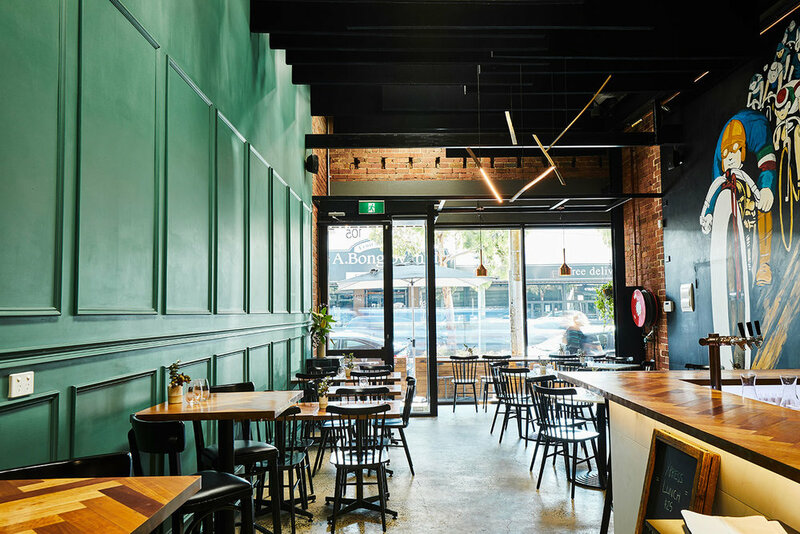 Copper Pot Seddon is the realised vision of awarded chef Ashley Davis, to bring the experience of neighbourhood bodegas, trattorias and bistros of Europe back home to Melbourne's inner west. A place where you always feel invited, that serves many occasions – from casual lunch or after work drinks with tapas, to an intimate dinner or celebration with friends. Our menu is inspired by Ashley's time spent living in and exploring Europe, and features unique regional dishes that capture the essence of towns and villages across the continent, offering our guests the opportunity to take a tasting road trip across Europe at their whim. Being true to European tradition, our menu is driven by the seasons, the availability of quality, fresh local produce and respected producer relationships. Our wines, cocktails, aperitifs and beers are all selected on their merit of delivering to their quintessential continental origins. We look forward to hosting you and taking you on a foodies' road trip through Europe. We have gift vouchers available for Road Trip experiences and monetary value. Gift vouchers can be purchased by visiting the restaurant during opening hours. Copper Pot Seddon is available for private functions or events. You can make a general inquiry here, call or visit the restaurant to discuss your event. Our Chefs are available for consulting on gastronomy, bespoke premium event menu design and speaking engagements. Please note our menu changes regularly based on seasonality and our endeavour to bring new experiences to our guests. For reservations please call on (03) 8590 3505 between 11:00am and 6:00pm or book online below.